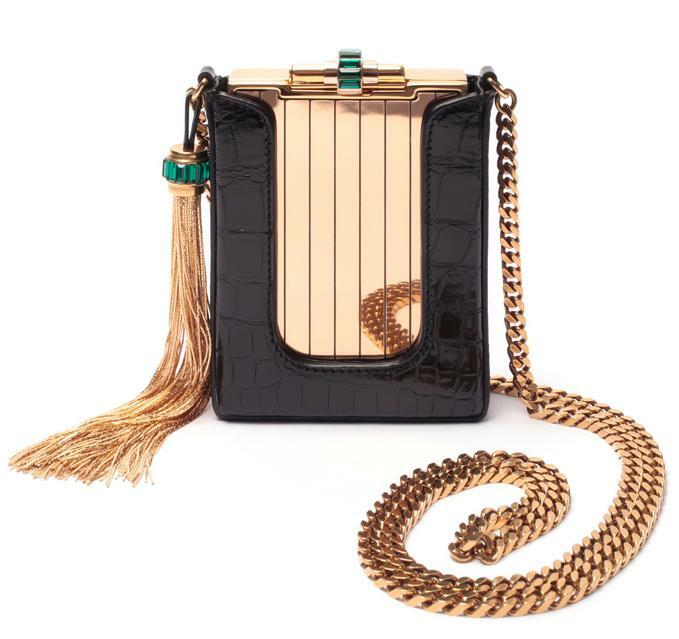 Spring 2012 is welcoming an influx of sturdy, structured mini bags, and this opulent offering from Gucci represents all that is divinely decadent about the upcoming box clutch trend. Heavily inspired by ‘the opulence of the era of hedonism’, the clutch is part of Gucci’s Hard Deco Spring 2012 collection, and its gold equestrian tassel, crystal embellishment and vintage perfume bottle shape result in one fiesty clutch packed full of Gucci glamour. LOVE THIS BAG, so cute!